So after learning how easy it is to dehydrate green beans, you now have a jar or two or five of dehydrated green beans. As lovely as they are, they really shouldn’t be put on the shelf just to be looked at. 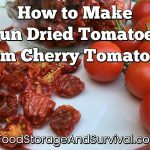 Even if you’re saving them for an emergency and not planning on rotating them into your normal diet, eventually you will want to cook those beans up and serve them. What do you do with them? 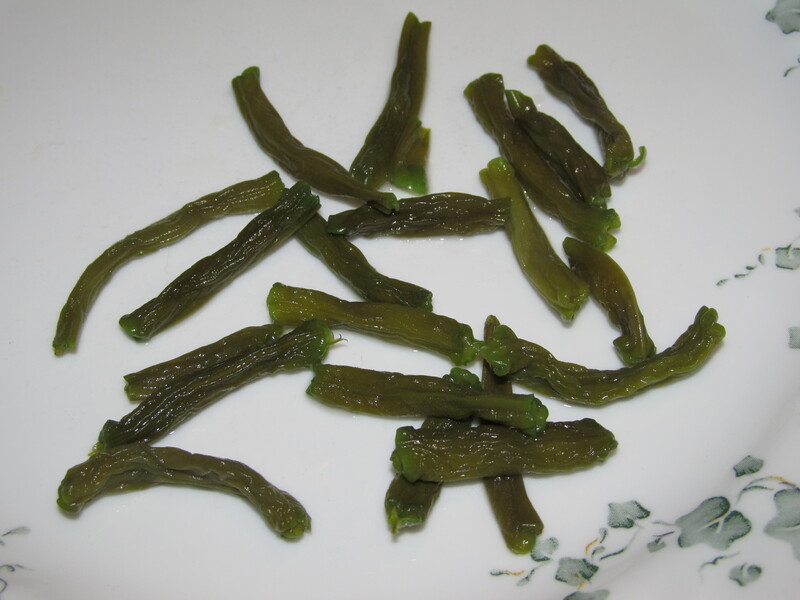 How do you use dehydrated green beans? Here’s the primer on using dehydrated green beans and it actually applies to using most dehydrated vegetables. 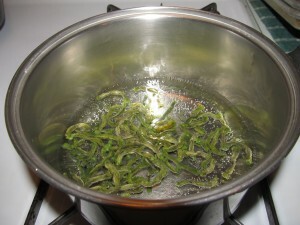 To use your dehydrated green beans, simply put them in water and let them re-hydrate. I have always had them over heat, although they would probably eventually reconstitute in just room temperature water if you had nothing else. Hot water works faster. 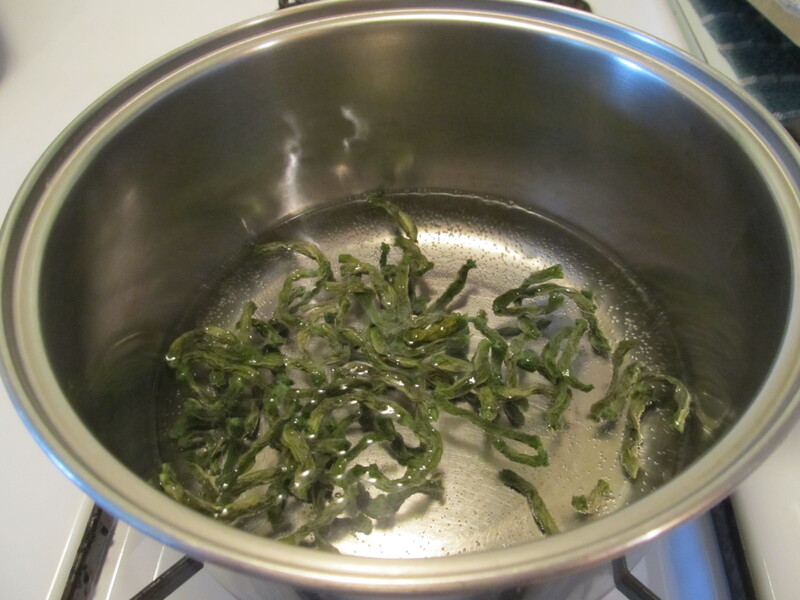 Boil them in the hot water 10-15 minutes. You could also put them in a soup or other pot dish (as long as it had enough liquid in it that they could re-hydrate). At the end of the cooking time, they’re re-hydrated. 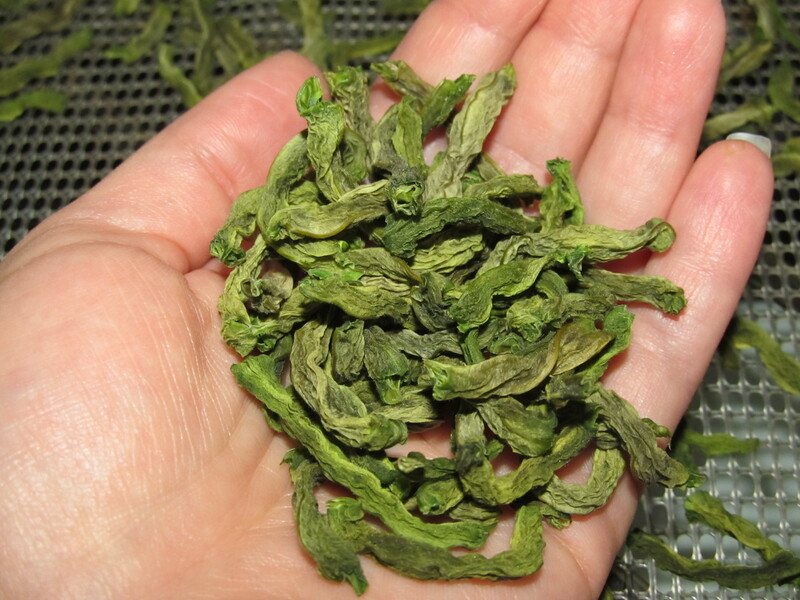 Don’t let the dehydration super fans fool you–they are never quite the same as they were before being dried. The wrinkles are kind of permanent pressed into them and they are slightly chewier and sweeter than the original bean. Definitely edible, with quite a good flavor, but not something you’d want to serve as a side dish if you were having royalty over.